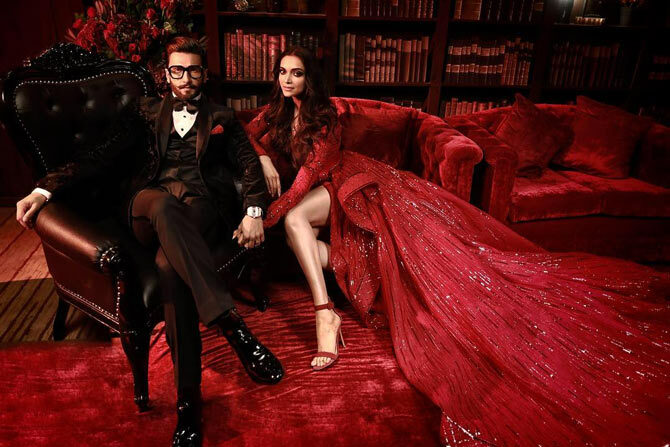 Newly weds Deepika Padukone and Ranveer Singh made a stunning picture at their Mumbai reception at the Grand Hyatt hotel, Kalina, north west Mumbai, on December 1. 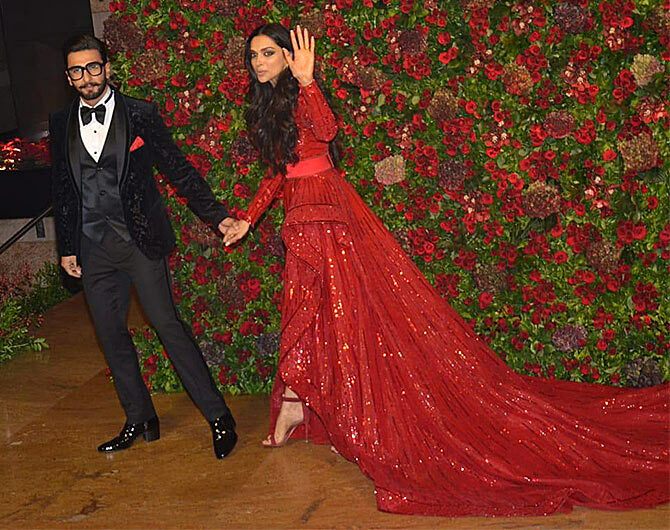 The reception is for all their friends from Bollywood. 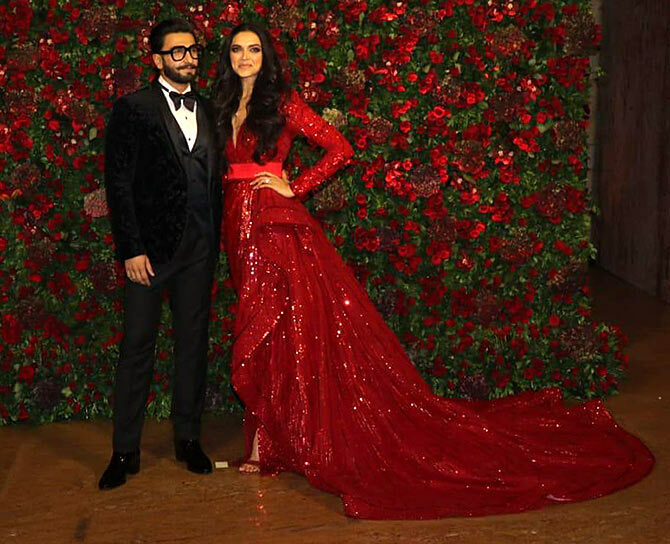 After dazzling in Sabyasachi for her various bridal looks, and wearing Abu Jani-Sandeep Khosla for her earlier Mumbai reception, Dippy looked spectacular in a Zuhair Murad gown. 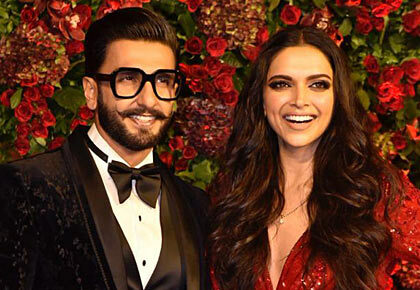 Ranveer complemented her in a black tuxedo by Rohit Gandhi and Rahul Khanna.